New to Hamster Drop? See what all the buzz is about! Dropped in for PAX East 2014! Did you attend PAX East 2014? Did you see us? Here's the rundown and some photos too, straight from the game's Creative Director! We have photos and more on our Facebook as well! We'll be uploading more photos this week as time goes on. Thanks to everyone who visited the booth! Also there is a special PAX East 2014 Hamster Drop sale! To celebrate our second trip to PAX East, we're cutting 50% off the price for both iOS and Android for the PAX East show, starting TODAY!! The Game Has Dropped! Now on iOS! Hamster Drop is now available for iOS!! The site also got some updates. Check out our release trailer and new screen shots! The Forums are also now open! Before everything else, let us bring your attention to our Twitter account! It's been a while since our last update! First and foremost thank you for being patient with us. We had originally planned for a late Summer release, but we were not able to make it. You may have heard about Apple's Developer website being down for a while. That caused delays for us. Also the HD artwork took a lot longer to draw out than we expected. We will post more details on the release when we know a more concrete date. Don't fret, you'll be saving those hamsters before you know it! In the meantime over the next week we hope to show off what exactly we have done so far with some screen shots of our latest progress. Stay tuned! Happy 4th of July from all of us here at Skylance Studio! A new developer's blog post is up by the creative director, about his take on and involvement in the art direction for the game. A new character joins the drop! A new playable character, Alex, is revealed! Check out him, and the other characters in the new Characters section. This section includes art and summaries of the characters revealed so far. Still more characters and art to come! Stay tuned! For those who were unaware, we have a developer's blog by the lead designer, and creative director, of Hamster Drop! Here you will find some inside info on Hamster Drop, and Skylance Studio, along with other commentary on games, the industry, and more. 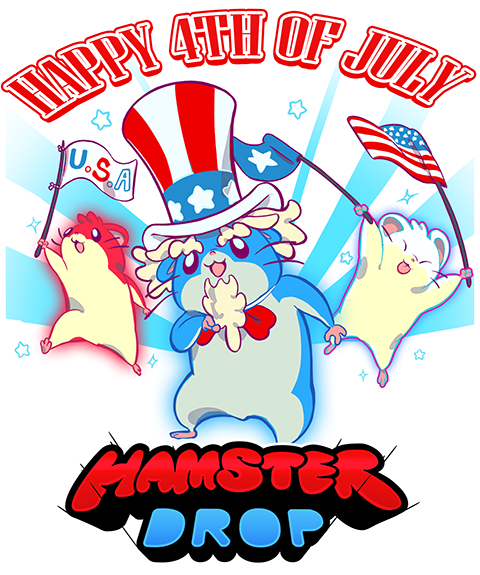 Hamster Drop Website is Open! 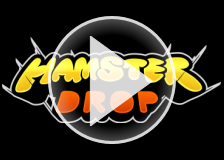 Welcome to the Hamster Drop website! Today is our official opening. So what exactly is Hamster Drop? 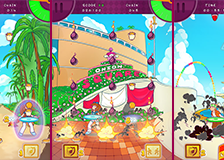 It is a game still in development for mobile platforms (iOS, Android, Windows 8). You catch hamsters, and avoid all sorts of nasty hazards such as bombs. Check out the screenshots and video for the game! Be sure to check the Facebook page for more. We also have photos of our time at PAX East 2013 too.